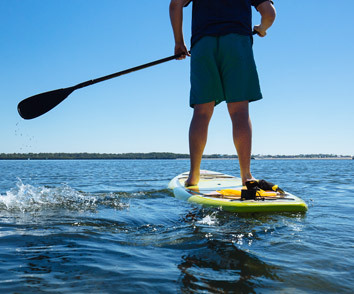 Come enjoy the surf, sun, and sand of St Augustine Beach at our oceanfront resort with direct access to the beach right outside our back door! Our 153-room resort features Guy Harvey décor and spectacular views of the Atlantic Ocean. 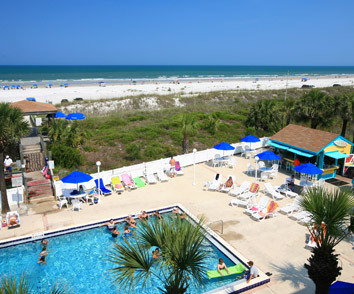 Guest can cool off poolside with a snack or frozen cocktail from the Guy Harvey Surf Shack or lounge on beautiful St. Augustine Beach. 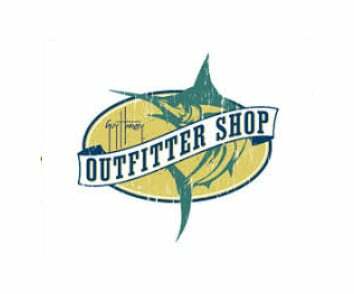 Stop by the Outfitter Store where you can shop for the latest Guy Harvey sportswear or book your next eco-adventure, fishing trip, or tour of the nation’s oldest city. Our full-service restaurant, Santiago’s Florida Kitchen & Craft Bar, features fresh Florida sustainable seafood and in -room dining service for guest. 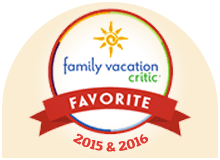 At Guy Harvey Resort St. Augustine Beach, we offer oceanfront accommodations and adventure for all ages. 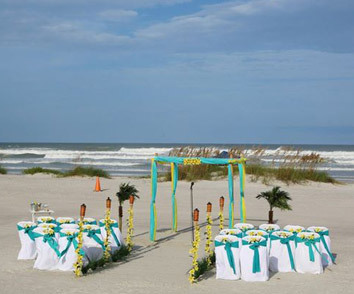 We are only steps away from Florida’s most well -known and favorite amenity…the beach! 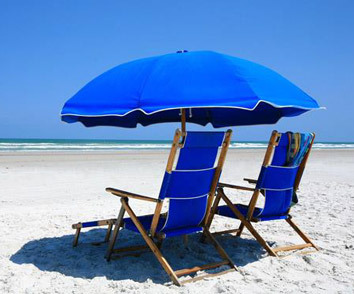 Chill in our beach chairs under an umbrella gazing out to the Atlantic Ocean. 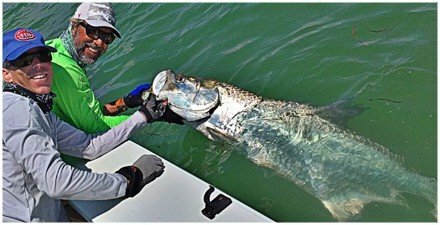 Taste Florida’s fresh seafood at Guy Harvey’s Grille & Grog. Swim and lounge in our outdoor swimming pool. 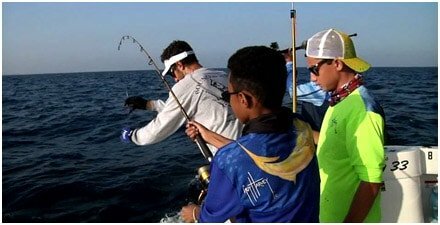 Visit the Guy Harvey Outfitter for the latest Guy Harvey Sportswear and to book your next adventure. 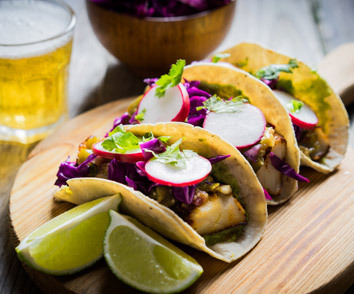 Enjoy fresh Florida seafood at Santiago’s Florida Kitchen & Craft Bar and in room dining. 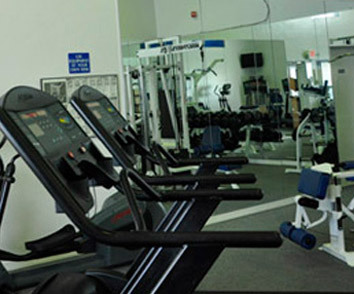 Access to our 24 -hour fitness center. 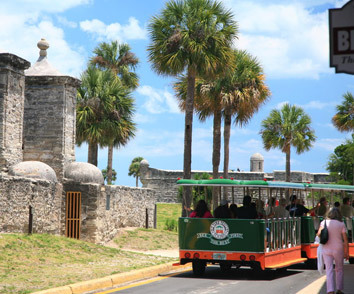 Complimentary rides to the Old City on the Old Town Trolley direct from resort (available from 9:00am until 4:30pm daily).